I do hope you have had a wonderful christmas full of love and laughter. We have had a lovely break and managed a few days of family time which was so good. Back to work tomorrow and looking forward to a few extra days at Stoer – always feels more like a working holiday when spent at the chalets. We are hoping to complete the cladding work to Mijbil and make a start on Edal in the new year. Here is a wee sneak peek of some of what we have done so far. Beautiful Siberian Larch….definatly needed to deal with the climate of the north west coast of Scotland. The only thing we are doing to it is a couple of coats of oil based clear stain so that the beauty of the wood is still on show just under a coat of weather proof protection. One of our neighbours took some ariel photos above our chalets on Christmas eve which just show the back walls new coat on Mijbil. He cleverly edited out the scaffolding and our pile of old cladding that is waiting for us to dispose of this week. I do love this photo so much, it shows the chalets and their stunning location of to perfection. If I don’t make it back on before the end of the month, then I wish you all the best for 2019. May the new year bring you all good health & happiness. Enjoy your Hogmany celebrations where ever in the world you are. 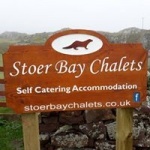 A very happy new year to you all from Stoer Bay Chalets. Another productive few days spent working on the cladding of Mijbil. A wee sneak peek can be found on our facebook page. Hopefully we will get Mijbil all done over the Christmas holidays, Then all we need to do is get in her new sitting room carpet, new sofa and a new fridge and she will hopefully be all ready to go for the 2019 season, which we are already delighted with the booking coming in. Its the usual hectic chaos that ensues at this time of year and with our eldest turning 18 on the 22nd it seems even more so and I’m delighted at his choice of birthday treat…he is taking us all rock climbing. Though this time we will be indoors, his love for outdoor adventure and his unquenching dream of making a carreer from this love grows in no small part to his childhood holidays spent exploring the land and sea in this amazing part of the world that is the North West coast of Scotland, ASsynt, Clachtoll , Stoer and Lochinver in particular. This will be the last blog this side of christmas, lol whether anyone reads them or not I dont know, but if you do thankyou. 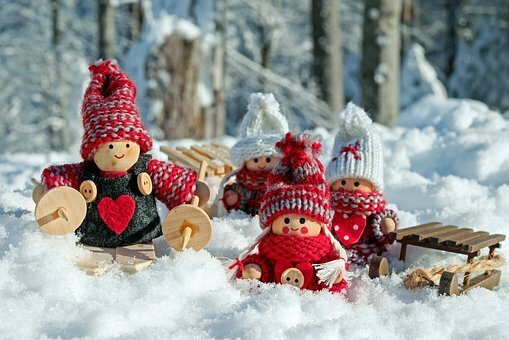 To everyone, old friends and new, we would like to wish each and everyone of you a merry and fun christmas and a prosperous and very happy new year. All the very best for 2019. After a wee break last week it was good to get back to Stoer this week. We even managed to make a start on the exterior recladding of Mijbil we are delighted with. No photos yet, we will wait for some more to be done first but even the little bit done looks so good. I cant wait for it all to be done, though poor hubby once again with me as his gopher has pretty much got his hands full. 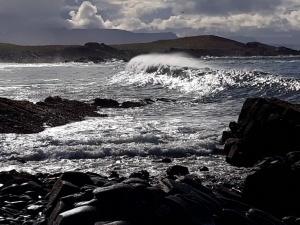 There are so many talented people in and around Stoer, Clachtoll and Lochinver and nearby local crofts and hamlets. 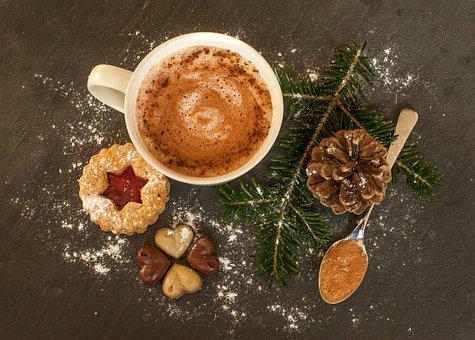 From bike hire, candle making, glassware, Pottery and so much more, as well as massage, tea rooms, so even on a rainy day there is still so much to do. 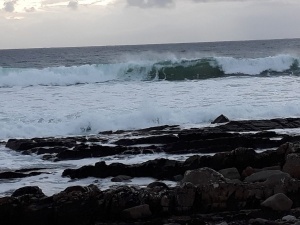 We have asked local to pop any leaflets into our letter box so hopefully we will have an array of up to date leaflets in 2019 of places that you may want to visit, as well as the mountains, lochs and of course the sea. We are going on a few night time walks at the moment…not hard at this time of year with the much shorter and busy days. The night sky still takes my breath away every time, with no light pollution for miles. The stars feel so close and as ever I await seeing the northern lights. Scotland is also one of the few places where the milky way can still be seen and it is truly breath taking. I can sit in front of the chalets wrapped up warm for hours and just stare up at the sky, never growing tired of its immense vastness. The beauty of this area is that there is something so remote and peaceful to see, feel and soak up all year round, not just through the summer. Our beaches are only the start of the north west of Scotlands beauty and magic. Last week we took a break from our Monday – Friday jobs. This give us the opportunity to look at new wood cladding for Edal & Mijbil and we are very excited to now have that on order. 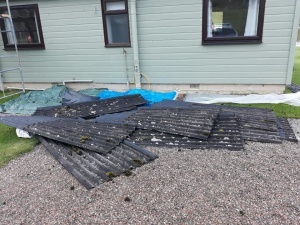 We also spent some time at the chalets and are delighted that despite the winds trying their hardest to stop us we now have Edals new roof on. Such a relief to have that done in time for this winter. At the end of the week I had a few days to chill on my own due to hubby being required to ferry both children here there and every where over the weekend. Not one to slack off I took this opportunity to explore some of the walks close by that as yet I hadn’t explored. One of these wanders was along the peat track route from Clachtoll to Stoer. This fairly easy 6 mile walk had a view at every corner and I would highly recommend it. I am so glad I decided to wear the old faithfull wellie boots though as the weather has been making up for the extra dry summer lately and it was especially boggy in parts. A wee lochan crossing on the Stoer end of the peat track & looking over to the hamlet of Stoer. I also put the running shoes on a couple of times and stretched the legs, the problem though is that the views are so stunning you do have to keep stopping. It wasnt all play though, I did get the painbrushes out briefly…..and then put them away again ’cause,well, you can’t paint in hailstones….can you? 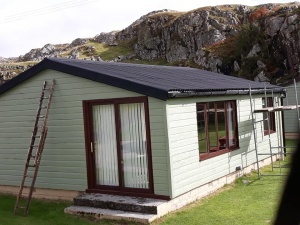 With Autumn most definatly here in Assynt, The NC500 route quieting down a little and the nights getting shorter it was time to leave our summer home in our caravan and return to weekend stays in one of our chalets ….oh the luxury of a proper bed again. It was a delight to once again sit at night and watch the moon shimmering across the loch and even better to wake up first thing and wander through to the kitchen to spot a Heron fishing from the chalet shoreline and though the otter has still remained elusive to us, he was spotted twice by guests this week. Once on the loch and once at the bottom of the burn on the Bay. Loving learning the variations in wildlife on our own wee spot of Assynt. We were also very grateful to be snug in Mijbil when a sudden down pour of hail came down on Sunday morning followed by a short but torrential rain shower. 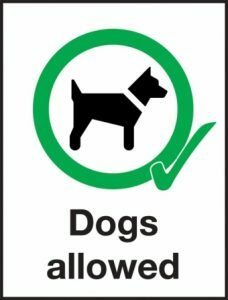 One of our guests was not so lucky in his dog walk timing, though wrapped up in waterproofs he didnt look like he minded too much. Following this was a stunning rainbow and then beautiful sunshine for the rest of the day. 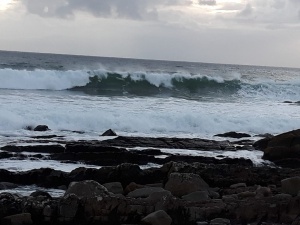 The Autumn storms from last week are still seeing some big waves rolling into the bay and all the other beaches along Assynt and the northern coastline and it was easy to hear the waves rumbling over the stones on Stoer Bay whilst tucked up in bed at night. Sadly it is also bringing in so much debris onto the shore that was a bit disheartening at first after valantly keeping the bay as clear of litter as possible over the summer, but the bug is there and we couldnt resist afew wanders with black bags in pockets until we had cleared it all again….until next time. Seeing all thats washed up really does bring home the huge problem we have of not just plastic but all sorts of debris floating in our sea. So glad there is now a growing awareness and all over the world people are trying to protect our seas from further pollution. I am not in any shape nor form a geologist. 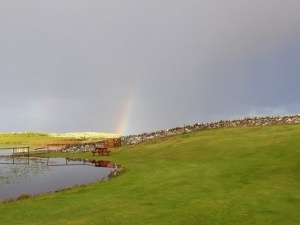 I am however fascinated by the stones around Stoer and indeed the amazing rock face in the chalet grounds themselves. The colours in some of the rocks are amazing, especially along the Bay itself. Its very hard resisting the urge to come back from a walk without at least one pebble in your pocket. This always makes me smile as it reminds me of a local ranger’s walk we went on as a family here when our boys were much younger. Afterwards the talk of meteors and space rock, Ben, our youngest disappeared off and came back struggling to walk under the weight of pockets and arms bursting with “space rock” to take home for all his friends. I think if he had been allowed, Stoer Bay would have been stripped bare of every rock possible and piled into our car as souvenir’s. Luckily that didn’t happen and there are plenty there for everyone to admire. Here is a little info on the rocks you can find at Stoer Bay …including Bens Space rocks (Reidite). The area is still of fascination and college parties of students studying geology are often seen around the area and if you walk along to Stack Fada (where the rock dissappears into the sea leaving a “shark fin ” protrusion out of the water along the cliff walk at the bay, you may also see small round bore holes where rock samples have been taken. Sedimentary rock that starts out as little grains carried along in rivers and streams and is a built up of many many layers of sediment, eventually compacting under the weight of the layers above until it becomes rock. Erosion exposed these rocks and in some places you can see ripple marks made by an ancient river. The stone ripples you see in the rocks around Stoer Bay were formed 1000 million years ago. The rock is the Stoer Group of Torridonian Sandstone, a sedimentary type of rock. The Oldest Rocks in Britain – and some of the Oldest in the World. As well as being very pretty, these rocks are 3 billion years old. They are also some of the oldest rocks in the World. Lewisian Gneiss is metamorphic, this means that volcanic heat and pressure has changed its structure .Originally the rocks were like granite which changed as the Earth’s crust became molten and they solidified, which is the reason you can see differences in the way the layers are seen, ranging from the white, to pale grey and even really dark grey. Because they were once part of the same continent, the same rock type is found in North America and Greenland. The rock has been eroded and scoured by glaciers to form hillocks and small lochs. In many places the Lewisian Gneiss is overlaid with Torridonian Sandstone. 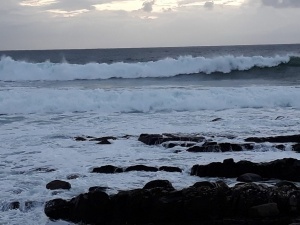 The earliest known occurrence of one of Earth’s rarest minerals has been found here in Stoer Bay.The 1.2 billion-year-old reidite was found in rock samples taken from Stac Fada , Stoer Bay. Reidite is only known to form in nature during meteorite impact events. The discovery reinforces a theory that Stac Fada’s geology was formed by material thrown out by a meteorite impact 1.2 billion years ago.